Food & Drink is Northern Ireland's single biggest industry and a major export to over 70 countries. A wide range of meats, poultry, seafood, dairy and beverages from Northern Ireland are being enjoyed in quality restaurants, top hotels as well as private homes across the globe. Of course, top hotels across Ulster are also wowing their guests by using the best produce that Northern Ireland has to offer. 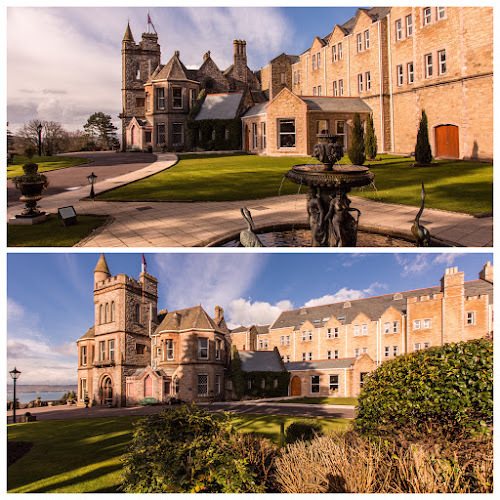 The Culloden Hotel and Spa on the outskirts of Belfast is a five star hotel and part of the Hastings Hotels group, thanks to their 'Who made my breakfast?' campaign, actively promote the producers they use and are keen to share their suppliers' stories with their guests so that they can see the care, quality and local expertise that goes in to making sure that breakfast is a true taste of Ulster. Paul McKnight is a local lad who started working for Hastings Hotels at the age of 17 and has worked his way through the ranks to the role of Executive Head Chef at Culloden Hotel & Spa. Paul's reputation has grown over the years and as a result, he has several internationally famous chefs work alongside him at Culloden including Gordon Ramsay, Phil Howard and Raymond Blanc. It all started in Cultra, 1975, when I worked with a business man performing gardening tasks. He then purchased a Hotel in Donaghadee, Co Down called the Old Forge Hotel. I started working there in the gardens and then in the winter months he asked me if I was interested in helping the Chef in the kitchen and so it began. 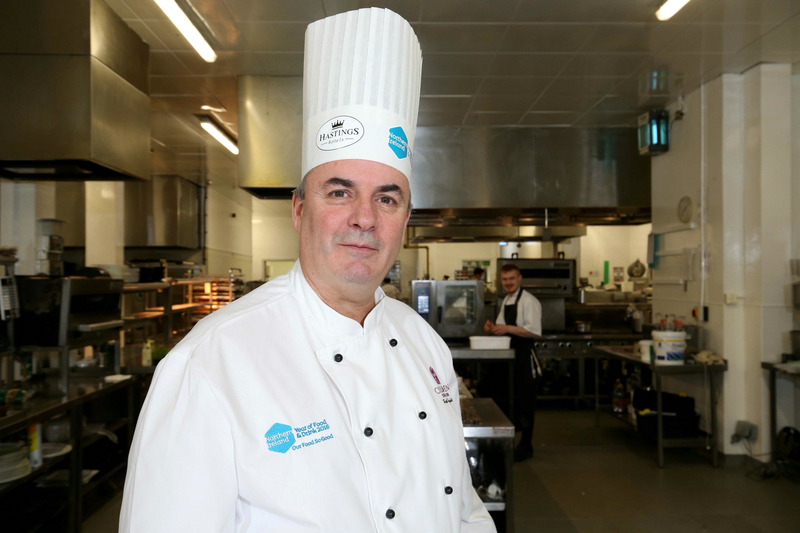 I then went to Catering College in Portrush where I did 18 weeks in College and 18 weeks in the Culloden Estate & Spa for 2 years, after which I graduated and worked permanently in the Culloden Hotel as Commis Chef in 1977. It was a hotel I was always interested in from afar, as it sat in Cultra and I frequently saw people coming and going while I did the gardens as a young man. What is the best piece of business advice you could give? My father was a hard working Civil Engineer who taught me to work hard and be reliable, but don’t forget to spend time with your family and those important to you. I have tried to follow in his footsteps and although I, like every Chef, work long hours I enjoy time with my family and holidays away together so I work hard and play hard. Busy, still evolving myself and my Brigade to support the Culloden Estate & Spa in continuing to be recognised as the leading 5 star hotel in Northern Ireland and The Mitre for having the best fine dining. If you could only use one ingredient in in your menu, what would it be and why? Scallops have been on the menu throughout my career in Culloden and when they are on the menu they are still the best seller regardless of whether they are cooked or ceviche. When in season, hand dived Scallops from Strangford Lough are among the best in the country and I enjoy preparing them. You can invite one person living or dead to your last meal, who would it be and why and what’s on the menu? With 2016 being named Northern Ireland's Year of Food and Drink, Chef Paul and the Culloden Hotel & Spa are well placed to continue showcasing the wonderful local produce that is available on their doorstep. If you fancy getting your own taste of Northern Ireland, easyJet fly into Belfast International Airport from most major UK cities while P&O Ferries and Stena Line both sail to the province too. Why not treat yourself to a lottery luxury and grab an overnight stay at Culloden Hotel & Spa with a traditional Ulster fry-up? Check out the official website to find the best deals available. I would like to thank Chef Paul for taking the time to answer 5 Questions and wish him and the staff at Culloden Hotel & Spa all the best for the future. I'm hoping that I can find time to get over to Northern Ireland before the NI Year of Food and Drink is over, I've written about quite a few fantastic producers from Ulster already and would love the chance to sample the delights of many more. 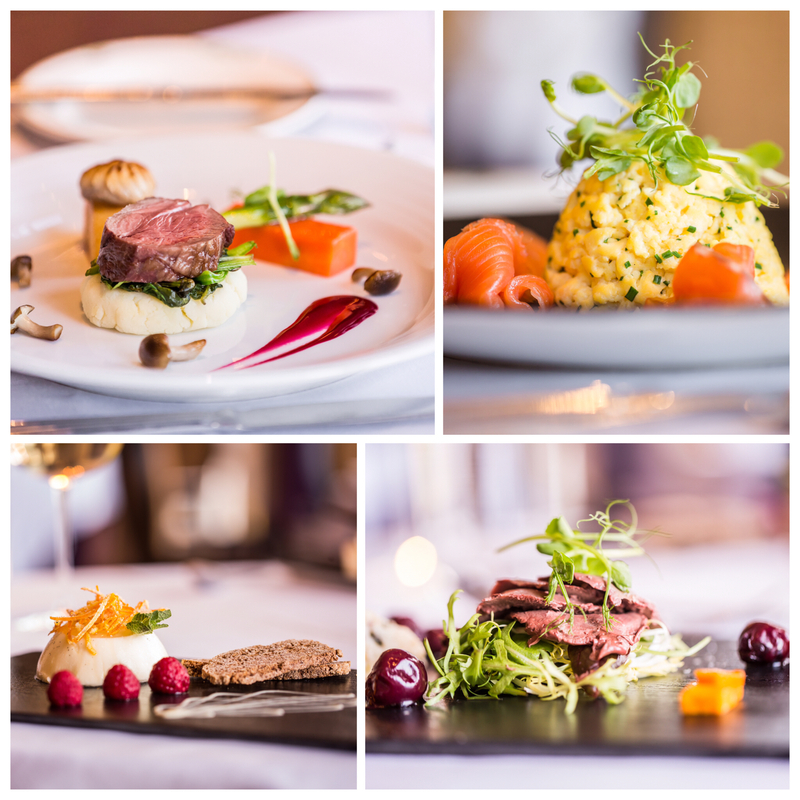 Keep up to date with news from Culloden Hotel & Spa on Facebook and Twitter.